PoC, or Power over Coax (coaxial cabling) technology, utilizes a single coaxial cable to transmit both data and power between front-end cameras and back-end video recorders (DVRs), as opposed to using one cable to send power to a camera and another one to transmit data back to recording units. In conventional analogue systems, electrical engineers must install electrical wiring before cameras can be installed, which requires a lot of time and effort. Separate power lines, electrical sockets, ground wires, and more all add up to a considerable part of a system’s budget. 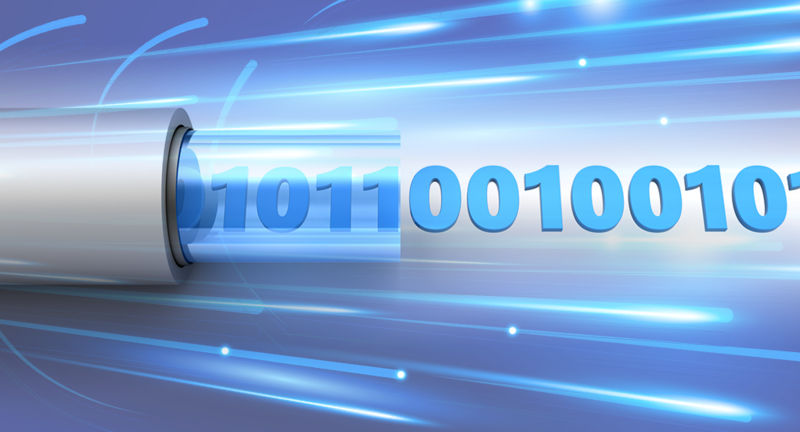 Based on standard protocol, Hikvision’s PoC technology features long transmission distance. It reduces time and costs on the electrical “prep” work by using plug-and-play products, so camera access and power are available right away. The excellent stability also makes backing up the DVRs and cameras possible by way of uninterruptible power supplies (UPS). PoC technology is widely used in scenarios such as buildings, stores, classrooms, gyms, and gardens, for both new installations and upgrades or renovations with legacy systems. 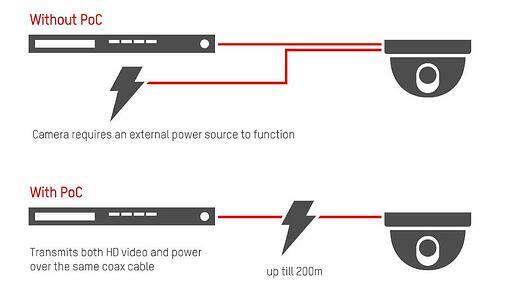 Hikvision is further advancing surveillance camera technology by introducing Power over Coaxial to its cameras and DVR equipment. Power over Coaxial (PoC) makes installing the cameras a lot simpler, which is great news for installers and end users alike. Click to check out Hikvision's cameras and DVRs with PoC technology below.